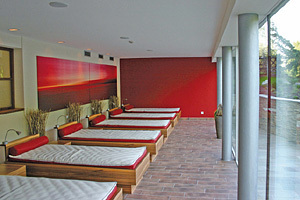 Well-being and comfort are very important to the Hotel Kaprunerhof in Zell am See - Kaprun. During your holiday in the Austrian Alps, you will experience warm hospitality, a comfortable ambience, adventure and much more. Kaprun is a beautiful village in the district of Zell am See in Salzburg County - situated at the foot of one of the highest mountains in Austria - the Kitzsteinhorn. 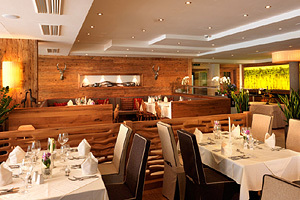 The 4-star hotel is right in the centre of the town but enjoys a quiet location. 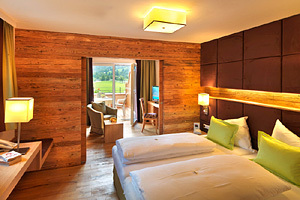 The 4-star Hotel is the ideal location for a skiing holiday. 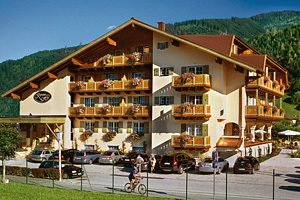 From the hotel you can reach the ski lifts and downhill runs of the entire ski region in a very short time. The hotel offers a free ski shuttle to the skiing area at the Kitzsteinhorn Glacier. Skis and equipment can be locked away in the hotels own ski cellar. At the reception you can buy ski passes and the skiing instructors at the local ski school will inform you every Saturday about the different courses they offer. Exciting sports activities and relaxing leisure time amidst fascinating mountain scenery and at beautiful lakes during a summer holiday in Kaprun, Salzburg. 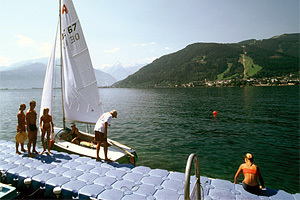 Lake Zell with its impressive mountain view is perfect for swimming and water sports. Plenty of mountain biking trails can be found throughout the holiday region. Also more exciting outdoor adventures like rafting and paragliding can be exercised. High above the village, at Mount Kitzsteinhorn, there is Austria’s first glacier skiing area. Up there, even in summer it's possible to ski and having fun in the snow. An individual holiday program can contain sports, spa, culture or a lot of fun with the family. 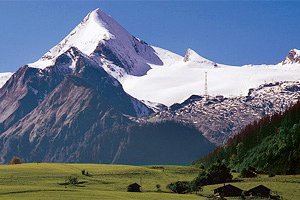 The landscape around the Kitzsteinhorn Mountain is one of the most beautiful spots in Austria. The county of Salzburg with its sheer wealth of sights and beautiful things to see is sure to guarantee an exciting holiday: the high mountain reservoir of Kaprun, the Großglockner high alpine road, the giant ice cave in Werfen and the trick fountains at Hellbrunn Palace in Salzburg. These are only a few of the sights and attractions in Salzburg, Austria. 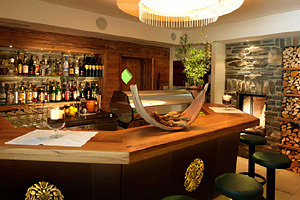 The family run hotel in the Austrian Alps, is located about 90 kilometers (55 miles) south from Salzburg City and the W.A. Mozart Airport. 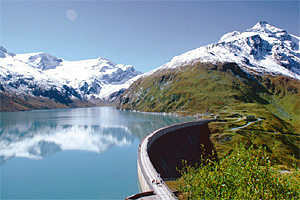 The neighboring city is Zell am See - about 8 kilometers (five miles). 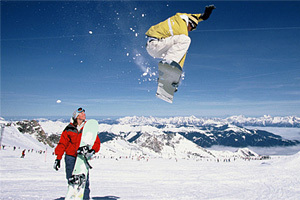 Nearby skiing areas like the Kitzsteinhorn Glacier or the Schmittenhohe near Zell am See are reachable in minutes. Detailed arrival information.